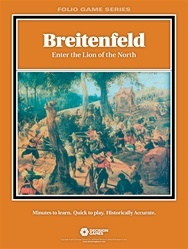 Breitenfeld was the first major clash involving the Swedish army of Gustavus Adolphus. Gustavus had adopted the advances of Maurice of Nassau, using smaller, thinner formations bringing mobility and flexibility to battlefields dominated by massive blocks of musket-ringed pikemen. But he faced a larger, more experienced Imperial army under Count Tilly, and had to rely on shaky Saxon allies. 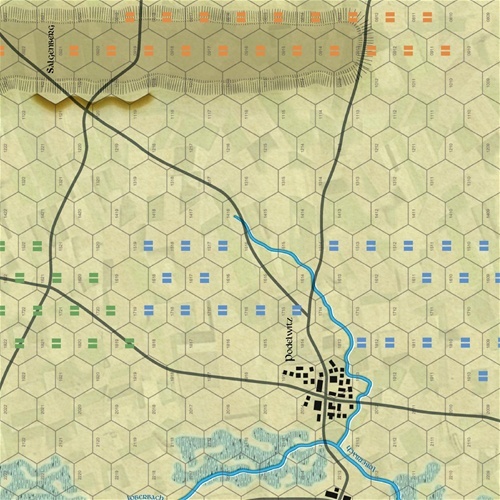 The battle becomes a contest between Swedish quickness and Imperial stolidity. Victory will go to the player who best utilizes his strengths and takes advantage of enemy weaknesses. 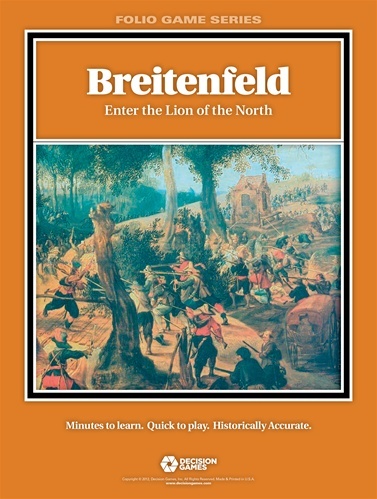 Breitenfeld uses the new Pike & Shot game system to portray the battlefields of the early gunpowder period. 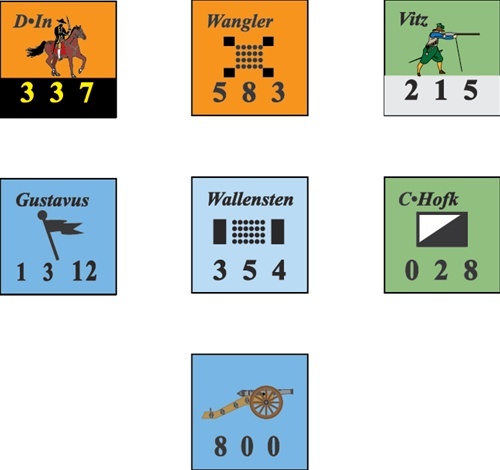 Infantry is based on pike formations with varying numbers of attached musketeers. Other musketeers operate independently, useful for skirmishing but vulnerable to both infantry and cavalry. Shock power comes from heavy cavalry, armored horsemen armed with pistol and sword, but relying increasingly on firepower to wear down opponents. Light cavalry roam the battlefield, too weak to stand up to their heavy cousins, but ruthless during a pursuit. The newest form of horsemen are the dragoons, men trained to fight mounted and on foot, ideal for seizing key points in advance of the main body. Artillery is still in its infancy; the large, powerful guns are all-but-immobile. However, different armies at different times experiment with lighter, more mobile weapons.